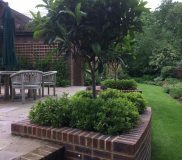 When we help our clients with maximising their garden spaces, whether it’s a town house garden, or a large country garden, we love coming back after a year or so to see how everything has settled in. 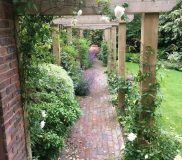 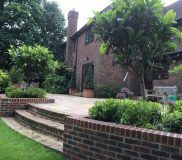 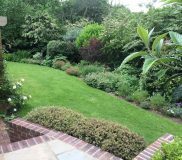 This garden design in Wilmington, Kent was no exception! 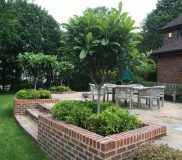 Everything we originally planted was thriving, with the beautiful border plants growing really well and a luscious lawn for the children to play on in the summer.